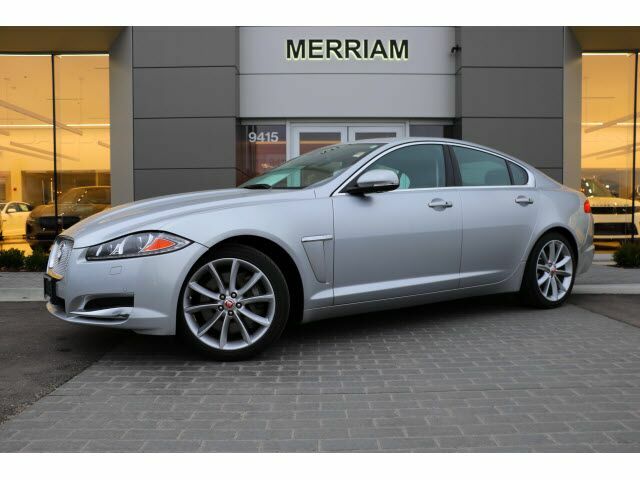 JAGUAR SELECT CERTIFIED PRE-OWNED EXTENDED WARRANTY! 2015 XF 3.0 AWD PORTFOLIO in Rhodium Silver over Charcoal Interior with Burl Walnut Veneer. 1-owner, clean Carfax, clean inside and out and nicely optioned with: 340 HP V6 Supercharged Engine mated to an 8-Speed Automatic Transmission with Shift Paddles, Jaguar Drive with Winter and Dynamic Modes, Intelligent Start-Stop, 19 inch Wheels, Xenon Headlights with LED Signature Lights, Heated and Cooled Front Seats, Keyless Entry and Start, Rear View Camera, Blind Spot Monitor, Heated Steering Wheel, 825 W Meridian Surround Sound System, Navigation with Touch Screen and Voice Control, Bluetooth, Sirius Satellite Radio, Adaptive Headlights with Auto High Beam, Heated Front Windshield, and More! Brian Stacy 1-855-979-0255 to Test Drive Today! Aristocrat Motors, Kansas City's premier luxury dealer strives for the highest levels of customer service. Voted "Best in Business" by the readers of Ingram's magazine, our customers are our number one priority.